The United States records an increasingly frightening growth in the number of workplace injuries reported annually. It is not an exciting statistic and it clearly highlights the irresponsibility of a good number of employers across the country. In order to reduce the risk of employees falling victim to this hazard, a recommended set of steps have been devised for the employer to take, in order to keep the workplace accident proof and safe. Unfortunately, the occurrence of workplace injuries points majorly to the employers, flouting their duties. 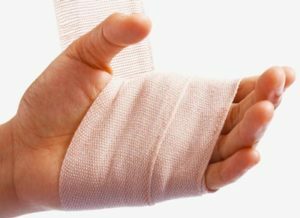 An injury sustained at the workplace is meant to be compensated for; this is for the sake of the employee who has fallen victim to the negligence of the employer. In many cases, there might be difficulties in reaching a satisfactory sum that suits both parties. This usually results in a fall in the negotiation and the case likely ends up in court. In order to get a stress free, assuring and satisfactory result, it is important to employ the service of an effective work injury attorney. This way, your case will be presented properly and professionally, with a thorough job done to ensure that at the end of the day, you are appropriately compensated. Rawa Law Group is your best bet for the desired legal outcome. Our work injury attorneys in Santa Ana possess great experience honed through our two decades of active involvement in the legal sector. We have managed to ensure that all victims of workplace injuries are compensated adequately. Contact us today for more information; we are at your service.